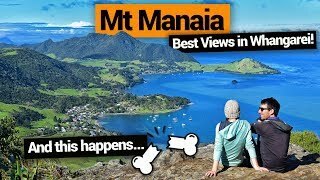 Attractions in Whangarei that you can’t miss! Whangarei is not just the capital of the Northland region of New Zealand, its a city packed with art, culture, wildlife and natural attractions! What’s more, Whangarei is the perfect base for exploring the surrounding coastal area with more than 100 beaches, several marine reserves and breathtaking coastal scenery. While you’re discovering this awesome city just 2 hours away from Auckland, don’t miss these Whangarei must-dos! While we love that Whangarei has a real mix of attractions that are suitable for any type of traveller, the thing we love the most is that it’s an extremely affordable city. Most of the things to do in Whangarei are either free or under $20 so who can complain?! 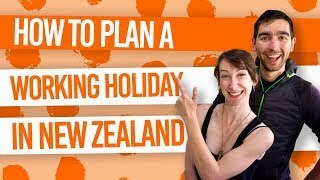 If you want to save more cents, check out 5 Best Backpacker Hostels in Whangarei and add more activities to your itinerary with our 18 Free or Cheap Things to Do in Whangarei. Linked by a gorgeous riverside walkway, Whangarei Falls and AH Reed Kauri Park are two natural attractions in Whangarei you can’t miss! Be blown away by the beauty of the 26m-high waterfall, then follow the Hatea River walk to a boardwalk through ancient kauri forest. The AH Reed Kauri Park is home to some of the largest trees in New Zealand. Location: Whangarei Falls is well signposted on Ngunguru Road. Alternatively, you can park at the AH Reed Park at Whareora Road, Tikipunga. Starting in the picturesque city centre of the Town Basin, the Hatea Walkway highlights the best of Whangarei city in a 4.2km walk. See Maori sculptures, amazing bridges turned into works of art, and learn about the local heritage through interpretation panels. This is the must-do in Whangarei to really make the most of the city centre! Location: Town Basin, Quayside just off Dent Street. This sub-tropical paradise is unlike any other garden you will see in New Zealand. The remnants of an old quarry have been completely transformed to hold an array of fascinating native and exotic plants that you can see in bloom year-round. Choose from multiple walkways passing streams and waterfalls as you make your way to a central lake. The Whangarei Native Bird Recovery Centre is like an animal hospital for native birds that have been found injured in the local area. Before the birds are released back into the wild, they are put in aviaries until they learn how to fly again. The aviaries are open to the public, giving you a unique opportunity to get a close-up view of some of New Zealand’s rarest wildlife. You may even be lucky to see Sparky, the resident kiwi bird. Location: State Highway 14, Maunu (next to Kiwi North). You can’t visit Whangarei without exploring Whangarei Heads! You’ll find some of the best beaches in the area, as well as hikes and drives to magnificent viewpoints. Hike the Mt Manaia Track or visit the Bream Head Reserve – a kiwi habitat and breathtaking pohutukawa forest. Learn more about the things to do in the area in our 12 Things to Do at Whangarei Heads. Location: From the city, take Riverside Drive, then Onerahi Road past the airport and follow the coastal road. See glowworms and get adventurous on the Abbey Caves walk! The 2-hour loop walk has three different caves to explore with rocky entrances and most having streams at the bottom of the cave. Whether you want to explore the whole caves or just want to peak into the entrances, you’re sure to have awesome fun at these natural wonders! Kiwi North is packed with so many Whangarei highlights that it would almost be a crime to miss it out when visiting the area! Not only is Kiwi North a nature park with a kiwi house, it also has the Whangarei Museum and Heritage Park! See real kiwi birds, native lizards like the gecko and tuatara, and more wildlife before you explore the history of Whangarei through its fascinating museum. See old-worldly buildings and miniature trains at the heritage park. Location: 500 State Highway 14, Maunu. Mt Parihaka is not only a mountain with amazing views, it’s a culturally significant area. The mountain was once the largest pa site (fortified Maori village) in New Zealand which is represented by the large carved rock seen at the lookout. You can either drive to the summit of this ancient volcano or walk on three different tracks to reach the top. Location: Drive via Memorial Drive. The Hokianga/Dobbie Track and Drummond Track to the summit start from Mair Park. The Ross Track start from Dundas Road. Another unmissable road trip from Whangarei is to the Tutukaka Coast. This coastal paradise is lined with golden-sand beaches and native forest that you’ll want to discover. What’s more, just off the coast are the famous Poor Knights Islands! This top dive site is a marine reserve with a wealth of aquatic life that you can see through snorkelling or scuba diving. The islands themselves are must-see, formed by an ancient volcano with various arches and giant caves that local guides will no-doubt show you! Find out more about this area is our 10 Terrific Things to Do in Tutukaka. Location: Tutukaka is a 30-minute drive from Whangarei along Ngunguru Road. 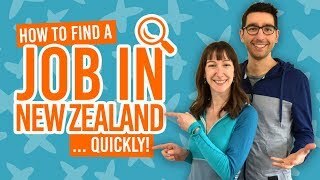 New Zealand is known for having a few quirky attractions and the Claphams National Clock Museum is definitely one of them! Check out the largest clock collection in the Southern Hemisphere because, why not?